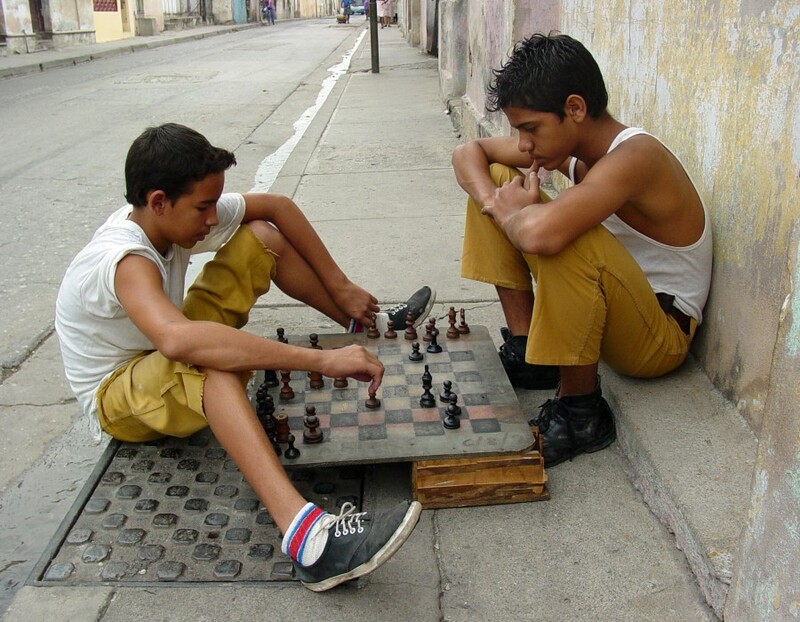 The arrival of chess in Cuba dates back to the time when the Spaniards came to the island in 1492. By this time Spain was one of the major world powers in this game of skill and was also one of the first country to set up a school dedicated to this field. However, for centuries it was practiced mostly by the elites with economic power. 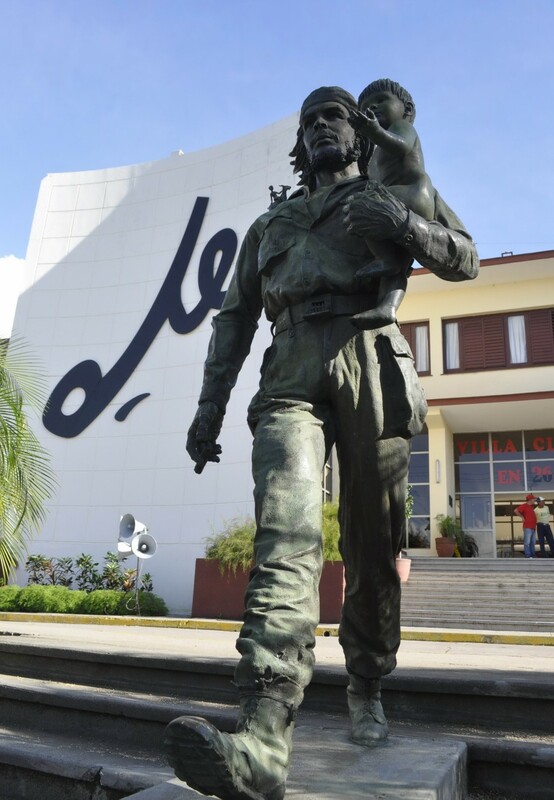 It is not until the 19th century that it started to gain popularity among the Creoles during the Wars of Independence, when the Cuban identity strengthened. Carlos Manuel de Céspedes (1819-1874) was the first president of the Cuban Republic in Arms, considered the Founding Father of Cuba, man of impeccable manners and high personal culture acquired during his studies in Barcelona and subsequent tour through Europe. This Cuban patriot made efforts of inestimable value for the development of chess in colonial Cuba. He translated from French to Spanish, “The Laws of Chess”, a book by a Frenchman Louis-Charles Mahé de La Bourdonnais, published in the newspaper “The Editor” in October 1855. José Martí learnt chess, presumably, in his childhood and later practised it during his stay in Spain. A definite evidence of his passion for chess was documented during his stay in Mexico, where he arrived in 1875 and had a chance to meet other prominent Cubans. Among them there was Andrés Clemente Vázquez, a famous Cuban chess player, who together with Marqués Sterling, were close friends of José Martí, and apart from literary circles they used to meet in game rooms, where they played chess. Ernesto “Che” Guevara, the Argentinian-Cuban (1928-1967), leader of the Cuban revolution that arouses great passions in public opinion, both for and against him. He has become a symbol of global significance. Che learnt how to play chess when he was just 10 years old and would have never stopped practising it. His high responsibilities within the Cuban government since 1959 influenced the official support for this mind sport. His opinion was decisive in the matter of participation of the Cuban delegation in XIV World Chess Olympiad in Leipzig. He also inaugurated the First Chess Tournament by teams among state agencies in 1961, among other activities he led and supported. When referring to the game of skill, he said “(…) the countries that have large teams of chess players, also march to lead the world in the most important areas (…)”. FIDE (World Chess Federation; an acronym for its French name is “Fédération Internationale des Échecs”), in recognition of his contribution to the development of Cuban and Latin American chess, included him in its Golden Book and named him “The Grand Knight of FIDE”. Cuba has made great achievements in this sport, among which, it is worth mentioning two Junior World Champions, excellent results in the Olympics and World Cups as well as in Pan American Championships in Teams and Individuals. Besides, more than 30 players trained in Cuba have graduated from Grand Masters (GM), including several women, and almost a hundred International Masters (IM). The main achievement in the history of chess in Cuba is to have a World Champion. The greatest pride of the island, José Raúl Capablanca (1888-1942), was a precocious child to learn rules of chess at the age of 4 years; at 13 he became the Chess Champion in the country in 1901. He lost only 36 games out of 567 in his career. He managed to retain his title of World Champion from 1921 to 1927. He hadn’t received he title of GM as it was established in 1950 and it is not given posthumously, but still he is considered a Great Master. Others who have excelled at chess were Leinier Domínguez, Lázaro Bruzón, Walter Arencibia and Yunieski Quesada, and others. Previously, among major chess players on the island stood out Jesús Nogueiras, Guillermo García (1953-1990) and Silvino García, who was the first one to receive the title of GM, the maximum prize awarded by FIDE. On the island several large simultaneous exhibitions in chess have been organized, always with the aim to praise the name of this mind sport and the right to practice it by anyone in the country. These majestic activities were held in different cities all over the country, including more than thousands of chess boards and the participation of former World Chess Champion, Anatoli Karpov and hundreds of GM and IM of the country, constituting, at the time, Guinness record or a world record. As a result of these activities, over the course of years and tradition in the practice of chess, today the fruits are collected, not only in form of excellent results achieved at international level in this sport, but also its popularity among ordinary citizens. It is curious to see on the streets groups of people sitting on sidewalks and playing a friendly game of chess. This unusual practice can be observed especially among self-employed individuals, such as “bicitaxeros”, drivers of so-called “bici-taxi” (rickshaws), one of the most popular public means of transportation in Cuba. One of the characteristics of their work is that they have to spend much time waiting for the next journey, so in their spare time they have another round. You can also find chess fans in the chess clubs, but it’s good to know, that these aren’t quiet places, which is also a characteristic of the Cuban criollismo. They are full of hustle and bustle and you will hear there coarse language and jokes that encourage the opponent and challenge the most capable! Greetings! Really helpful guidance on this post! It is the small changes that make the biggest changes.